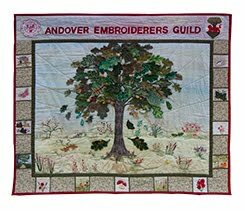 A busy month ahead. 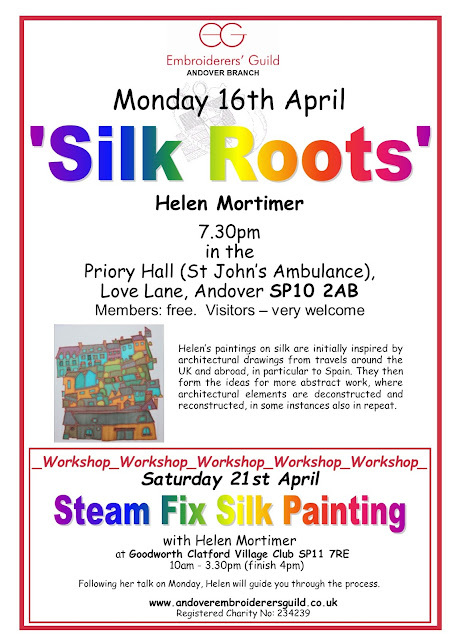 Firstly, at the meeting, Helen Mortimer will talk about painting on silk and then on Saturday 21st she will lead a workshop on how to fix silk paints. 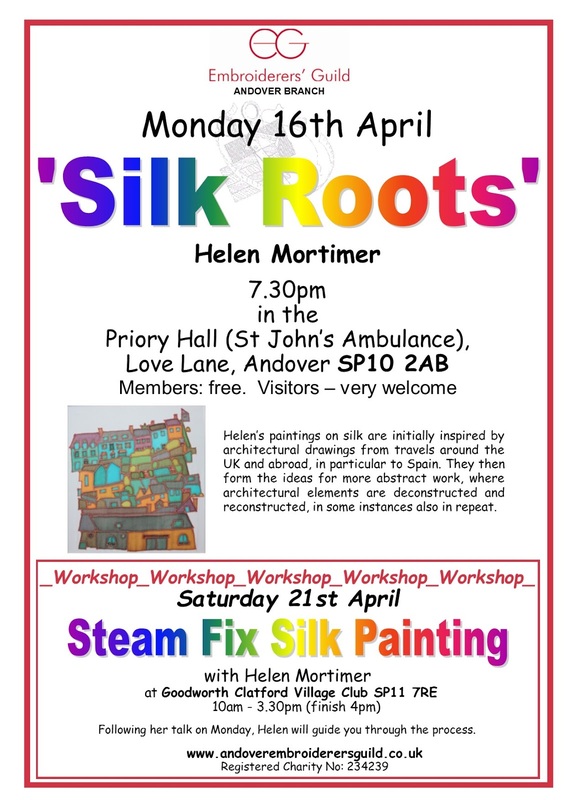 With updates on other activities in the area, a meeting not to be missed!